The German term “Fragestellung” — literally, the posing of a question, but broadly meaning a world view from which questions can arise — has been a more accurate word than the inadequate English term “outlook” to test new hypothesis as well as abandon old ones. 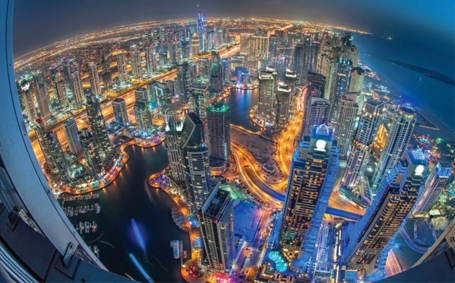 The time has come to abandon some of the stats-based average indicators that have wrongly gauged the health of Dubai real estate, as they are not only been poorly constructed, they have systematically ignored the recovery underway for a while now. Ever since the landmark invention of statistical techniques 100 years ago that let us properly compare the measurement and difference between groups using averages, we have deluded ourselves into thinking that these differences are salient. Our obsession has grown in interpreting such differences without adequately looking at the variance between — and within -groups. Even as we look at these measures to measure growth and decline, as well as measures of inequality, we ignore the difference in variance (which captures the spread or range of measured values) between groups. Consider a hypothetical example: when forming a crew of sailors, what would be best? To have all ten sailors have the same level of myopia, with a mean vision of 20/20, or to have a group where nine had even worse vision but one with a perfect vision? The average vision would be the same in both groups, but for purposes of sailing the boat, and for the survival of all, it might be better to have more — rather than less — inequality. It is this inequality that flummoxes observers of such averages. A familiarity with variance would allow us to make sense of the real estate market and explain why the average indicators are stating a flat market, even as community after community is showing a wider gap between higher and lower measured values. The mean overall price level might be the same, but the variance has been much higher now than at any point in the last 10 years. Instead of giving headline-based doomsday indicators (which does not gauge the underlying market, let alone explain higher transactional activity), experts would do everyone a better service if they examined the reasons for the widening variance. In community after community, where landlords have upgraded their properties, the prices that they have commanded has been systematically higher. This becomes critical as properties start to get older. In building after building, where home owners association has been proactive, there has been a better resale and rental value recorded, compared to the same community where associations have been relatively laid back. These have even partially compensated for the low build quality product that the developer has delivered. Given that the majority of the population is still tenanted, the upkeep and oversights matter, in terms of prices as well as rents. Statistically speaking, what we notice is that at the bottom of the distribution, we find more properties that are devoid of these factors. Also at the very top of the distribution we find transacted values that have these measures ticked off. These wide distributions have been witnessed across — and within — communities and there has been no correlation with the type of property (villa, apartment, size, etc) and/or area. Curiously, there has hardly been a mention of this dynamic; the focus on the mean misses the chance to observe the trade-offs that investors and end users are confronted with on a day-to-day basis. It is amusing that market watchers continue to paint a gloomy scenario for the outlook, despite the fact that record sales continue to be generated in off-plan. Undoubtedly post-handover payment plans have helped, but even on the ready front, there has been a gradual firming up of activity (up 9 per cent on a year-on-year basis). Such disconnected concerns echo similar hand wringing when the QE programme was announced by global central banks in 2009. Contrary to sceptics, the global economy rebounded as a result of those stimulus measures. So too have we seen a rebound both in sentiment as well as transactional activity in the real estate markets, a trend that is likely to continue. The only Fragestellung that needs to be posed is: when do we announce the ends of experts?